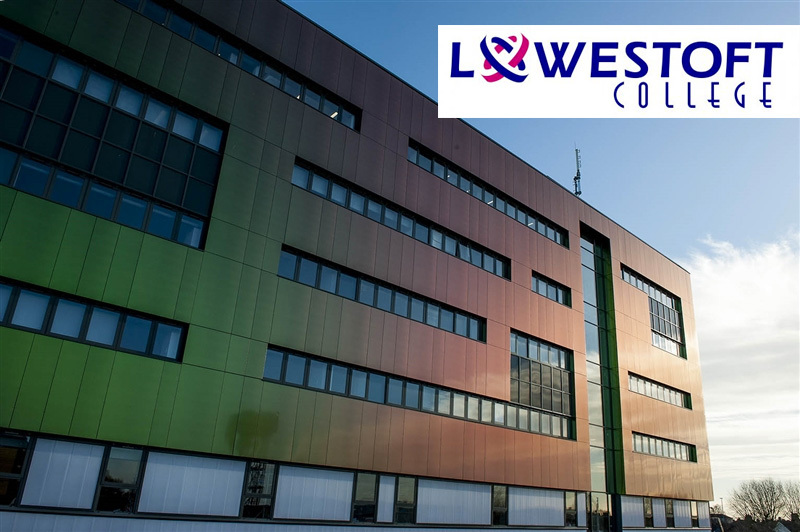 Lowestoft College has partnered with one of the town’s fastest growing companies to launch a pioneering Care Academy, the first of its kind in the region. Young people, aged 16 to 18, are being invited to interview for a one year course that is being supported by Kingsley Healthcare. 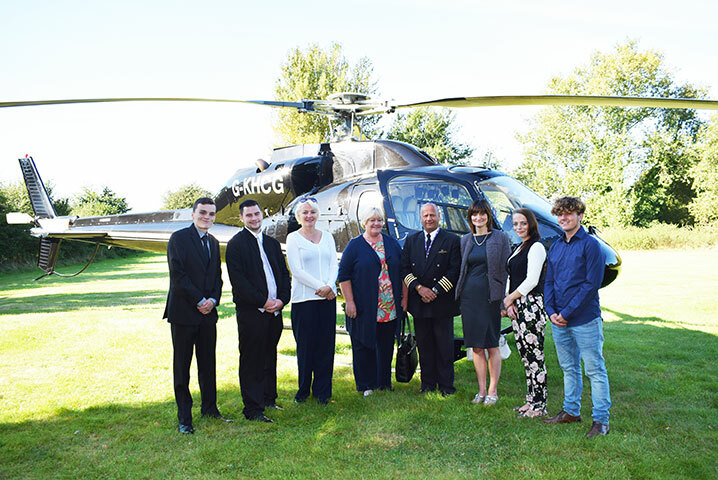 A group of apprentices were flying high when they were treated to a helicopter ride over Norfolk and Suffolk. The group Leeam Gravells, 18, Laura Whittle, 23, Danny Finch, 17 and Corey Lark, 17 have all secured apprenticeships with Lowestoft-based charity Access Community Trust (ACT) and enjoyed the flight courtesy of Kingsley Healthcare CEO Daya Thayan. 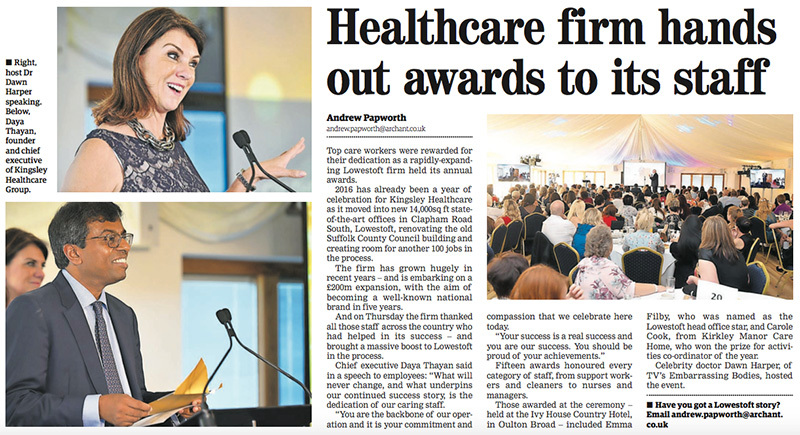 Top care workers were rewarded for their dedication as a rapidly expanding Lowestoft firm held its annual awards. 2016 has already been a year of celebration for Kingsley Healthcare as it moved into new 14,000sq ft state- of-the-art offices in Clapham Road South, Lowestoft, renovating the old Suffolk County Council building and creating room for another 100 jobs in the process. Operations manager Debbie Preston successfully completed her charity run between the two nursing homes she oversees - Queen Charlotte in Weymouth and Highcliffe, in Highcliffe, near Christchurch. And when she reached the finish at Highcliffe on Sunday she said to her friend Debbie Davis, who ran every step of the way with her: "We have only gone and done it!" I am pleased we have commissioned our new charity facility that has been built in honour of my parents in the north of Sri Lanka where I was born. The new building provides facilities such as lecture halls, teaching facilities for leadership , mentoring and language classes, healthcare consultation rooms , IT Labs / Computer Training facilities, Microfinance support..